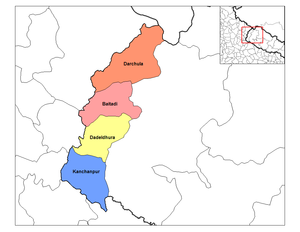 Mahakali (Nepali: महाकाली अञ्चल Listen (help·info)), is a zone of Nepal located in the Far-Western Development Region. It has occupied an area of 6,205 km2 Nepal. This page was last changed on 23 January 2016, at 17:28.